Senate GOP Could Taste Sweet Revenge In Supreme Court Case : It's All Politics If the Obama administration winds up losing a Supreme Court case challenging President Obama's recess appointments, the Senate back story could make the win especially gratifying for Republicans. 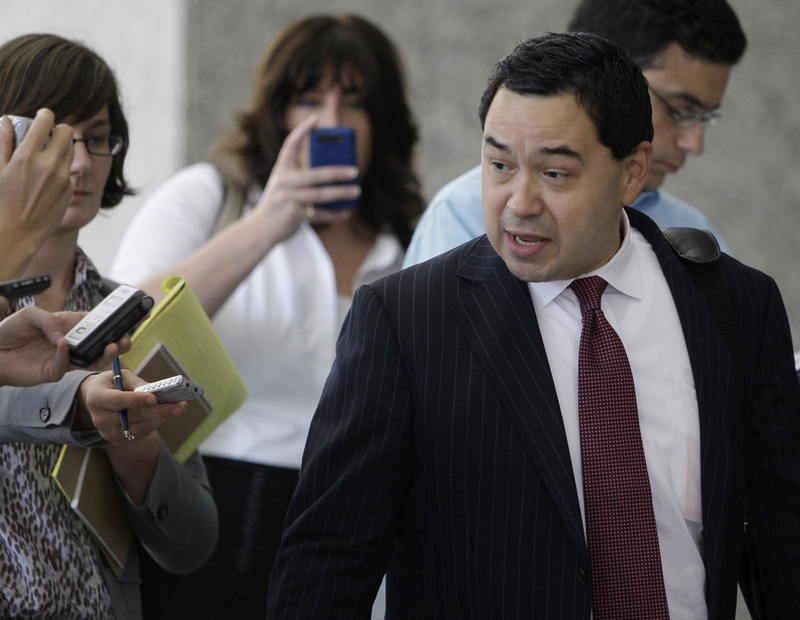 Miguel Estrada, whose 2002 nomination to a federal judgeship was filibustered by Senate Democrats, will represent Senate Republicans in their recess appointments case against President Obama. If revenge is a dish best served cold, in Washington it can also be served with a heaping side of irony. The Supreme Court agreed Monday to Sen. Mitch McConnell's request to let Senate Republicans participate in the high-profile case Noel Canning v. National Labor Relations Board. The question in that case is whether President Obama abused his recess appointment power in naming NLRB members. The president claims the Senate was in recess, which would make his appointments constitutional; Senate Republicans dispute Obama, saying the chamber wasn't in recess. The court had initially given the lawyers for the administration and Noel Canning 60 minutes to make their case. But McConnell, the Senate Republican leader, asked for time to present the Senate minority's position. The court granted that, adding 30 minutes for arguments. The administration will now get 45 minutes; Canning and Senate Republicans will split the same amount of time. And the lawyer poised to make the Senate GOP's argument before the Supreme Court? Miguel Estrada, who argued the case for Senate Republicans in the lower court. At the start of George W. Bush's administration, it was Democrats who filibustered Bush's nomination of Estrada to the D.C. Circuit. That filibuster contributed to the toxic spiral of filibusters that first caused Senate Republicans, then Democrats, to threaten using the "nuclear option" to weaken senators' ability to filibuster nominations until Democrats actually did it last month. If the Obama administration and Senate Democrats wind up losing in the Supreme Court, the Estrada and nuclear-option back story could make the win for Republicans especially sweet.